The KIT-3 is well suited for heavier prop builds or bodies over 6 feet tall. The twin spine design and crossbar at the waist help keep the frame rigid under increased loads. 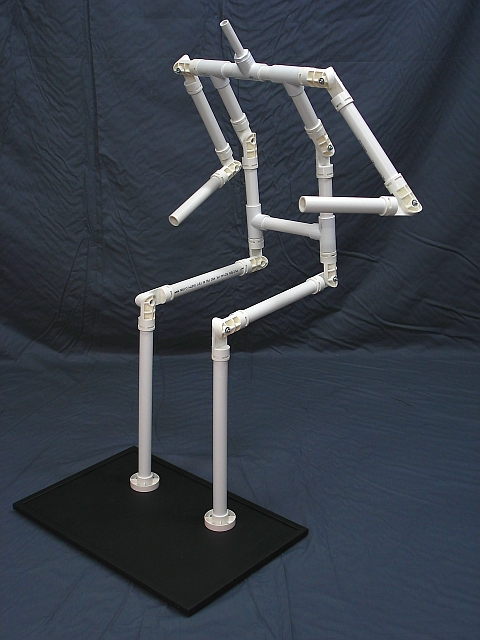 It provides you with all of the fittings needed to build a completely adjustable body frame. It features adjustable shoulders, elbows, hips, knees, and neck. The spine is also articulated. 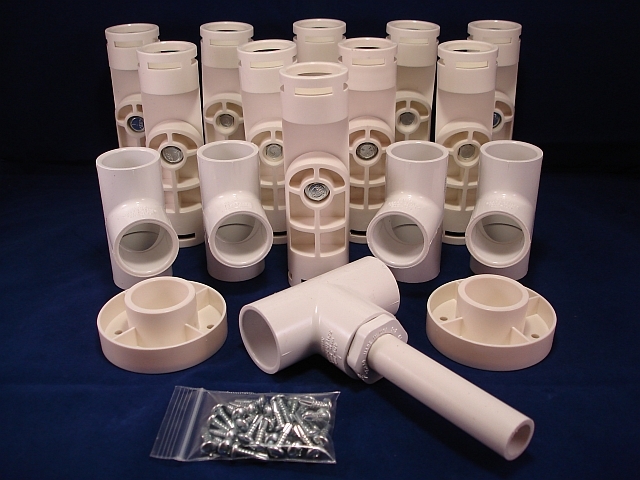 (5) 1 inch Schedule 40 PVC Tee fittings. (1) 1 inch to 1/2" Schedule 40 pipe adapter. 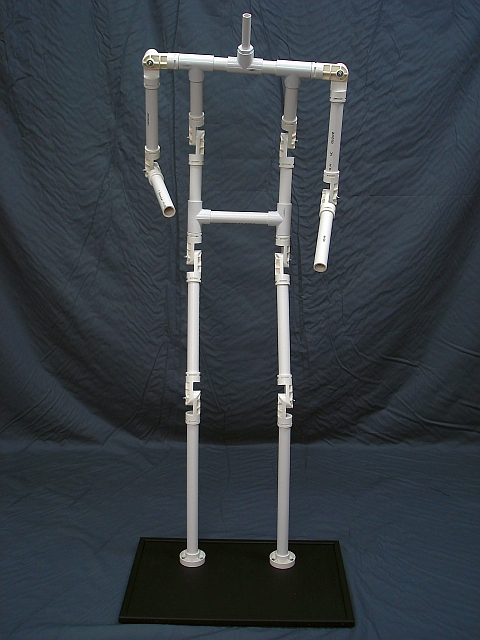 (1) 4 inch length of 1/2" PVC pipe. (Fits most foam wig heads). (28) Self drilling TEK screws. 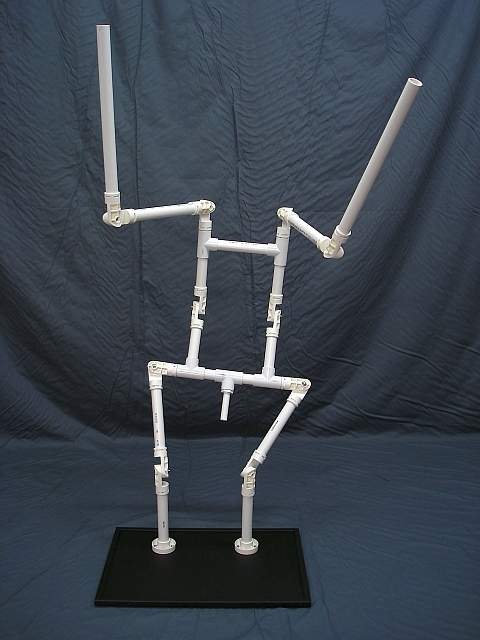 Add (2) Spider Joints to your kit to install ankles and make it capable of crouching! Q: How fast can I get a body kit shipped to California? A: Hello, depending on what time of day your order is received, it will typically go out by the next day. If you choose priority it would likely take 3 days. We ship Monday thru Saturday.